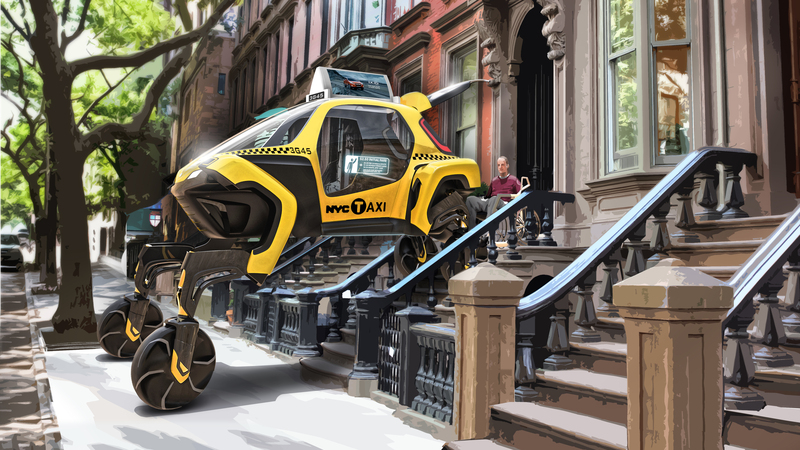 The South Korean automotive giant is calling its Elevate concept the first Ultimate Mobility Vehicle (UMV), featuring four extendable legs each with wheels, giving it the ability to change the way it moves depending on the situation, offering both mammal and reptile-like walking gaits. Hyundai, who has been working on the idea with industrial design consultancy firm Sundberg-Ferar for almost three years, says that the electric concept would be able to climb a five foot vertical wall and step over five foot gaps. “When a tsunami or earthquake hits, current rescue vehicles can only deliver first responders to the edge of the debris field. They have to go the rest of the way by foot,” explained John Suh, Hyundai’s vice president and head of its Cradle division. The company believes that the technology could be used in non-emergency situations as well, particularly helping those with disabilities. Legs can also be folded away, allowing the vehicle to drive like any other car on the road. 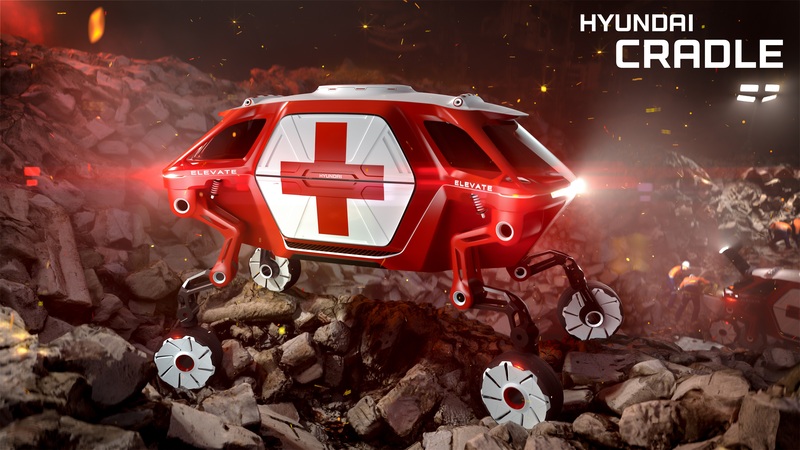 “By combining the power of robotics with Hyundai’s latest EV technology, Elevate has the ability to take people where no car has been before, and redefine our perception of vehicular freedom,” said David Byron, design manager at Sundberg-Ferar. Hyundai has been showcasing the concept at CES, the world’s main tech conference which takes place every year in Las Vegas. As with any concept, it is not clear whether Hyundai intends to make the car a reality anytime soon. Organising the Christmas party . . .